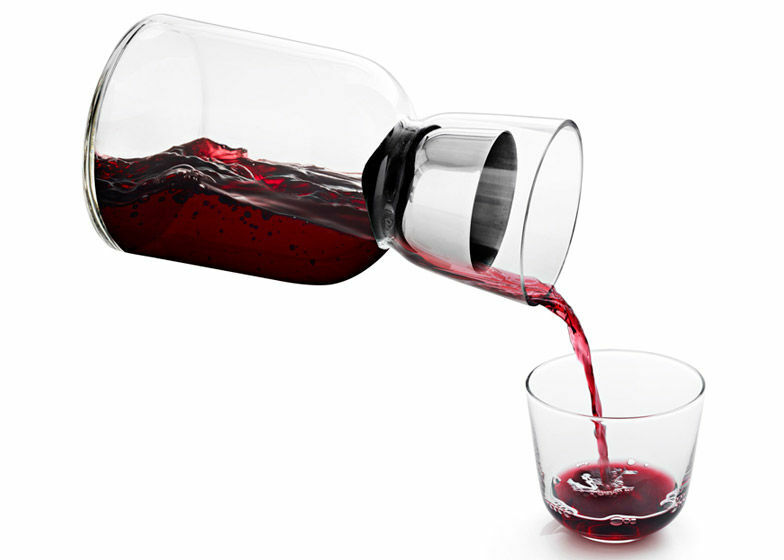 British designer Benjamin Hubert designed the 'WW Carafe,' a wine decanter featuring an flavor-enhancing stainless steel aerator. 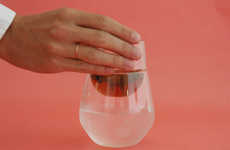 The carafe is accompanied by a set of glasses, and all will be collectively released through the Danish design brand Menu. 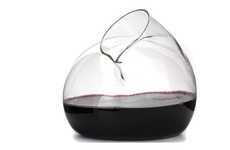 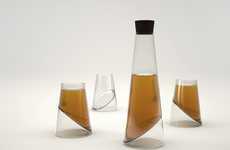 Wine poured into the carafe flows through several holes located in the steel insert. 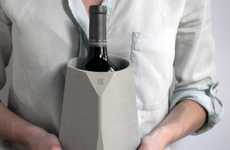 The aerator is located in the neck of the carafe, held in place by a silicone collar. 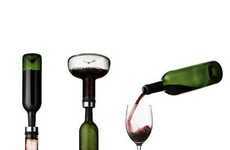 This pouring process is both visually appealing and functional, increasing the surface area of the wine by eight times what it would be via a normal, direct pour. 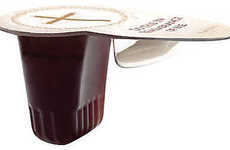 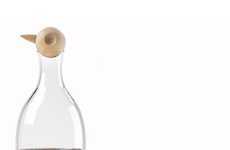 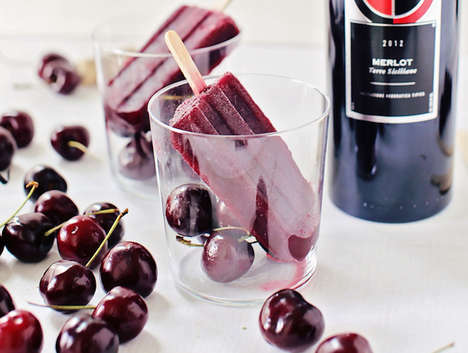 Since the wine is forced to drip through the holes into the container, it is exposed to more air, which ultimately augments its flavor. 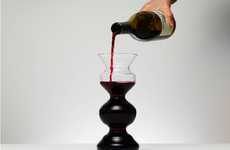 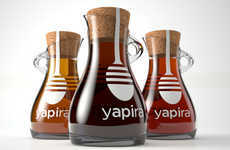 Wine can then be poured from the carafe into glasses without removing the aerator, as there are gaps around the collar.